The official term used to denote a fresher in Lagos. One who has probably just hopped off a plane at Murtala Mohammed Airport and is ready to pioneer all possible rocks in Lagos. The festive season is back and it's only right our IJGB Guide is back as well. Last year, we said the president was trying to kill us. This year, it's been a lot better. He's been on vacation for the most part. He might as well use this guide too. The naira is relatively stable so you're not going to get as much rocks for your dollar as you did last year. We got a couple decent restaurant openings this year and the pick of the lot has to be Backyard. Backyard serves the closest thing you'll get to a Philly Cheesesteak in Lagos in their super popular Steak Sandwich. it's probably the most ordered thing on the menu and apparently, they run out sometimes. If they do, get the Suya Chicken as your back up. South is another new one that's popped up this year. The menu is a bit limited and going by the comments in our review, it can be hit or miss. We really liked it, however. Our favorite thing on it was the The French. 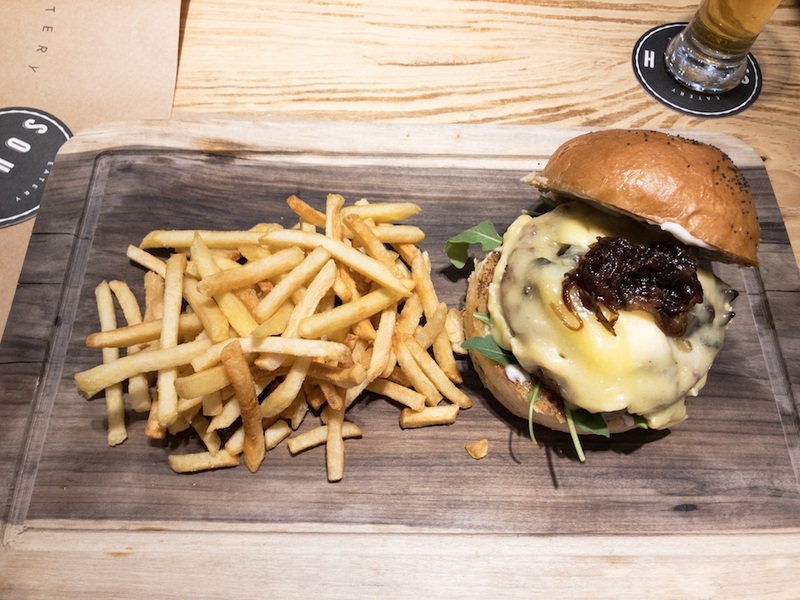 You can make a very solid case for The French being the best burger in Lagos. A lot of people might argue and suggest another, but 9 out of 10 times, they'd be lying. Six Thirty is a new "underground" supper club that has popped in the last month. Secret location, secret menu, secret everything. If you're looking for a different vibe to dining in Lagos, this might be your thing. This section feels like cheating because haven't been any real NEW spots in Lagos to drink at. There are a couple new coffee shops and a new wine bar (on Abimbole Awoniyi, VI), but there nothing real significant. Oh, Smoothie Express has a physical location now. Like I said about cheating, 355 is back in time for Christmas. "Back" because they've lits been gone since last Christmas. Eko Cocktail Club is like a supper club, but for drinking. It's Lagos take on London Cocktail Club and it's launching just in time for Christmas. If it your thing, sign up HERE. This year, we've had our favorite social prefect, Ndali, put together a list of things you should be getting up to this Christmas.